Taking to the skies is a fun hobby for many, and a growing passion with many new quadcopter drones hitting the market. 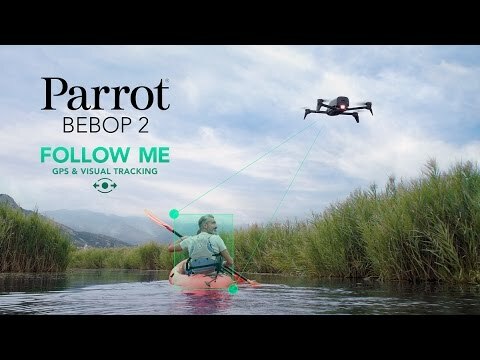 The standards are quickly rising for basic features on flagship devices and Parrot is adding a software update to add an important tool to their Bebop 2, Follow-me. 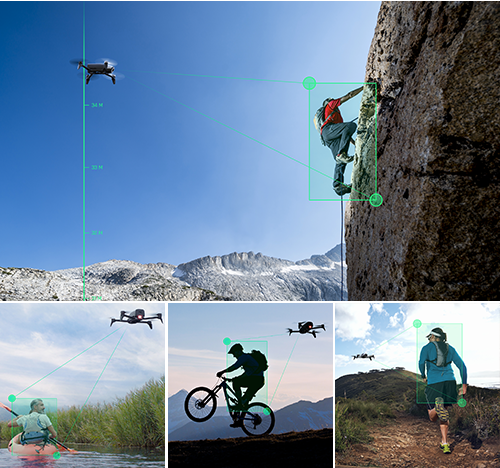 A Follow-me feature is built into most of the top drones on the market today, enabling autonomous flight of your drone while camera tracking a specific object, such as a human. The update is being added into the supported companion app to control your drone, allowing all users to enjoy the experience, but there’s a catch, you’ll have to pay for it. Before we talk price, let’s look at what you’ll be getting with this in-app-payment update to the FreeFlight Pro app to control your Parrot Bebop 2 drone. Counter intuitive to my own personal thoughts on object tracking, Parrot’s Follow-me feature promotes the fancy part of the service to be the visual algorithmic image tracking. Able to pick out objects from a scene, when you are the object, the drone will simply follow you and keep you in frame. The more impressive aspect to the feature, at least to my mind, is the use of GPS readings from your phone in order to make sure the Bebop 2 doesn’t wonder off. Continuing there, the use of the barometer ensures appropriate elevation of flight. After setting your camera angle, distance to target and elevation, select the target object and the Bebop 2 will take over. In addition to simply following the object, there are other more advanced features, such as the software can identify a “perfect side,” in which the drone rotates around to remain on the same side of the object – if you want to film your own side scrolling live action shoot, you’ll be able to take corners and your moving camera will whip around to stay on your side. Finally, you’ll also be able to pre-program flight paths or take control of flight yourself, the drone will ensure that the camera remains pointed at your object as you fly. When you’re all finished, just hit the home button to send your drone back to your starting location for a landing. Remember I mentioned something about this feature costing you money? The in-app-purchase price to unlock the latest FreeFlight Pro features is a staggering $20. Not that the price is out of reach, but that feels like a huge number compared to most app payments in the market. Android users will have to wait another month to get in on the fun, iOS users can get started today. Is the idea of having to pay to unlock new flight features acceptable to you, or is this a nail in a coffin for your Parrot Bebop 2 purchasing plans?